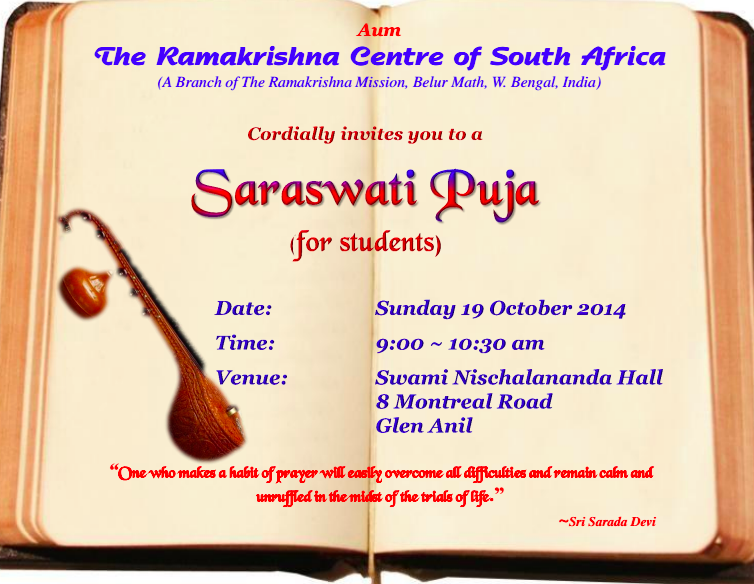 Ramakrishna Centre takes special care of growing number of students in its congregations. There is a regular weekly class on Hinduism at every Sub-centre and its main centre. Annually all the children come together for staging the most memorable Children’s Cultural Function. Twice in a year the centre conducts a sort of Retreat for these children. These programmes make different aspects of our ancient wisdom and practice familiar to the children and youth. I am presently reading “Swami Yatiswarananda as We knew him”. Swami Yatiswarananda used to give great importance to Sunday classes for children. He used to instill devotion and strength in children through his very presence and also through teachings of Holy Trinity. Blessed are the children of South Africa. They are getting such a wonderful opportunity.